It’s a sunny Monday in Austin. A pile of stunning batik fabrics sitting on my desk will soon become a new and hopefully beautiful quilt. Creating a new design is exhilarating and a passion for me as a quilter and sewist. Makin’ fabric into something that will be wrapped around a new baby, a well-deserved veteran, a flannel quilt for a loyal and loved husband, or my newest design, “Radiance,” hung on a friend’s wall to create warm smiles of enjoyment, as they wake in the morning or to greet visiting friends in their cozy guest room is pure satisfaction, appreciation and a little amazement, for me. My quilts designed and created with love and care by me, wanted and cared for by others? Every one purchased feels like a true blessing to me and warms my soul. Being a designer, quilter, teacher and decorator I’ve been so fortunate to be able to do what I love- creating beauty out of scraps, every day. I never know what the next project will be which I find exhilarating as a creator. A new challenge and a new opportunity to flex my creative muscles is so much fun! For example, this month I am honored to create a military quilt of honor for a veteran of thrifty years of active duty service, commissioned by his daughter, I’ll be able to pour my appreciation into every star block and appliquéd insignia within this quilt. And, later this month, I’ve been commissioned to create an original design for a new baby in a Peter Pan theme. Old world and vintage inspired and not the modern cartoonish Peter Pan of Disney, I’ll use custom hand painted fabrics to help bring this quilt to life! As a designer of quilt patterns, wall-hangings, decor items and bed stead items, my world is chock-full-of creating. I am so fortunate as an ex-educator (sure miss teaching developmental kindergarten!) to be able to meld my two passions- teaching and creating. A natural evolution for me and so incredibly enjoyable! I don’t do this alone, I love to take people on my creative journey with me! As an administrator of an international quilt block swap, I’ve been able to build friendships with quilters from all over the globe. I try to meld a mix of fabrics and techniques which I’ve gained through these rewarding friendships to give my quilts unexpected elements and to use textiles in new and creative ways. Sew-alosgs, block exchanges and swaps through Facebook have accentuated my quilting life for years. Aren’t we lucky to be able to use technology to further enrich our creative lives? Join me in one of our groups! I bet I administer one that’s just right for your interests! I’m honored to be able to sell my quilts in a Bed and Breakfast in upstate New York. The Under the Nose Gift Shop has carried my handcrafted items for three years and I still get goosebumps when someone walks into this charming gift shop and purchases one of my quilts! I’ve sewn since I can remember and have a hard time remembering a day when I didn’t know how to sew! Lucky I had a mother who taught me to sew, on a machine, from a very early age. My mother allowed me to tinker with the machines we used, like a turquoise green Kenmore, I can remember to this day. I can’t help but appreciate that this experience led to another endeavor of mine, refurbishing and restoring antique treadles and sewing machines. Servicing an eighty-year-old treadle or a circa 1950’s Singer Featherweight, just to name a few I’m able to restore, so they’re sewing once again is incredibly rewarding. I love bringing them back from the brink and finding them new homes with sewists who appreciate the quality and reliability and extreme fun factor of sewing on an antique or vintage machine! Would you like to join us in sewing on a fabulous vintage machine? Id be more than happy to find the machine that’s just right for you and fits your sewing needs. My Paper Pieced Heart Quilt Haus has grown into this two prong business, naturally for me. Restoring vintage machines and quilting my days away is so much fun. Come along with me and enjoy our quilting life together! Happy New Year Stephanie! So good to see your site up and running. Best of all things to a wonderful friend! Stephanie you are a beautiful writer – and you write about quilts and vintage sewing machines – my two favorite things. Looking forward to hearing about your adventures in 2016. “Sew” glad you came for a visit to my haus! Thanks for your encouragement and compliments, quilters and friends! I so enjoyed reading your post. 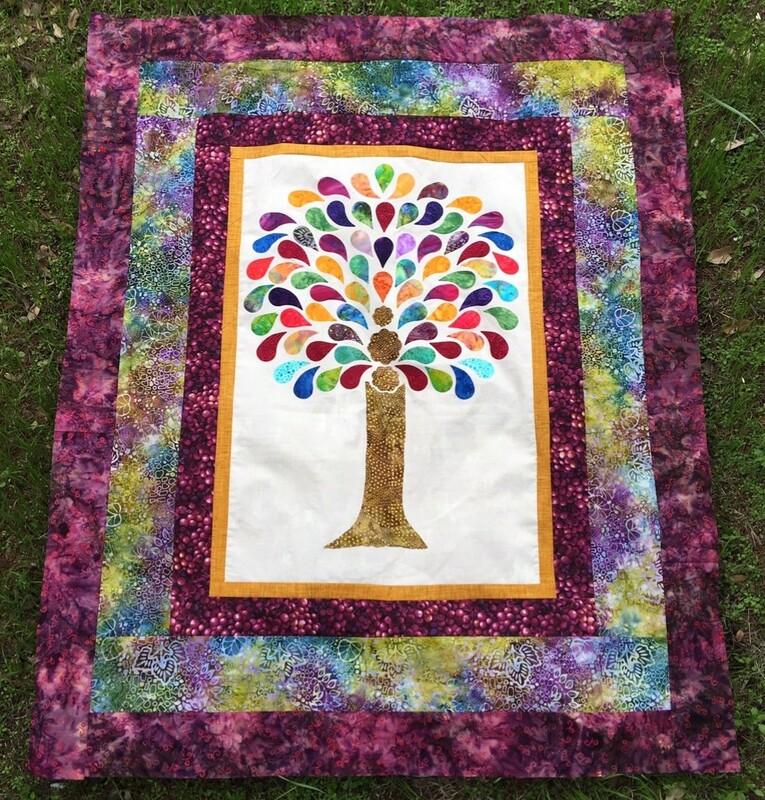 Your quilts will have a positive impact on many individuals; what a great opportunity. I am looking forward to being a part of your journey. Congratulations on your new blog! I sew look forward to following your adventures. I love your thoughts! Congrats on the blog. I look forward to what comes next! Great job Stephanie. I will be following to see what you come up with on here. 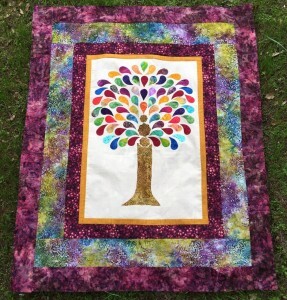 I love all your designs and can’t wait to try making the tree design. Good luck with your blog. Lovely! Now add to that list. . . Blogger Extraordinaire. I’m excited to get a peek into the inner workings of that creative brain. Well done! Great job Steph! looking forward to your next blog and the layout looks great! Love your new website and excited to follow along with your blog!